JCB India Limited, a leading manufacturer of earthmoving and construction equipment in India showcased its new 5.5 tonne Wheeled Loader – the JCB 455ZX and the JCB G63QI Diesel Generator at the International Mining and Machinery Exhibition (IMME) 2016 in Kolkata. The IMME has been a leading exhibition for the Mining sector for many years. With India becoming a bright spot in the world economy, it is the right time to introduce world class Mining equipment suitable for India. 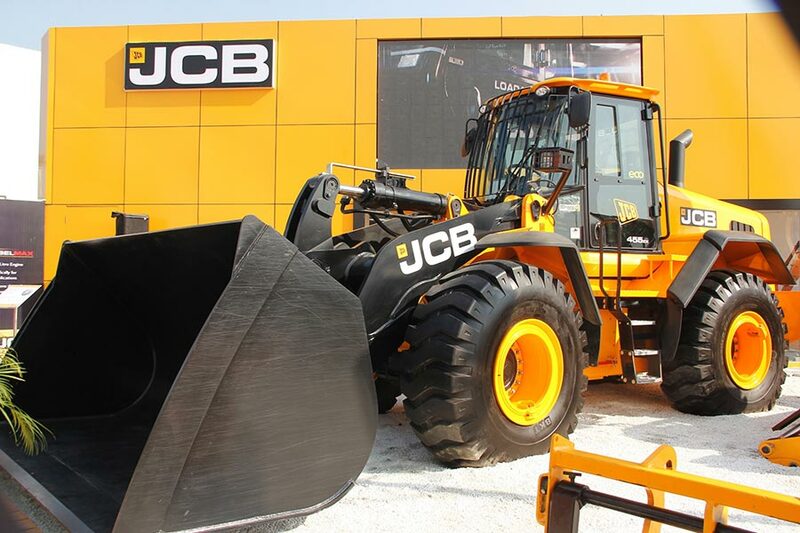 We at JCB are keen to leverage the opportunity to display our state of the art wheeled loader – specifically designed for the Mining Sector. JCB India’s world-class 455ZX Wheeled Loader has been engineered for sectors such as Mining, Construction, Ports and Roads. This new, “Made in India” machine comes with a powerful 6-cylinder Common Rail JCB DieselMAX 672 engine which also was exhibited at the stand. This machine is designed to work for longer hours at a lower maintenance cost. JCB also presented its Genset range – the JCB G63QI Diesel Generator. Fitted with JCB ecoMAX engine, this compact Genset is extremely fuel efficient and saves upto 40% space. In addition, JCB’s “Made in India” 11m Telehandler – the 530-110 was also on display. Introduced recently, this machine is revolutionising the way material is handled at work sites. A wide variety of attachments gives this machine unmatched versatility and productivity.